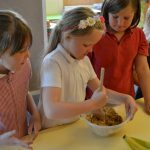 Kids at the Burgh Primary School were inspired to do some baking by one of their favourite book characters – the Gruffalo. As you will probably know only too well, the Gruffalo isn’t the hero of his own story; that’s the little brown mouse who scares him off by threatening to turn him into Gruffalo Crumble. 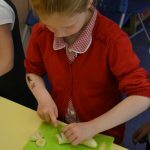 Cue much slicing, mixing and munching. 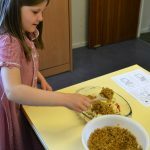 Reading recipes is a wonderful way to practice reading for kids who prefer to be active. 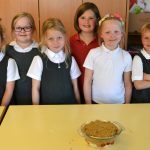 It’s also a fabulous way of encouraging them to try different foods. 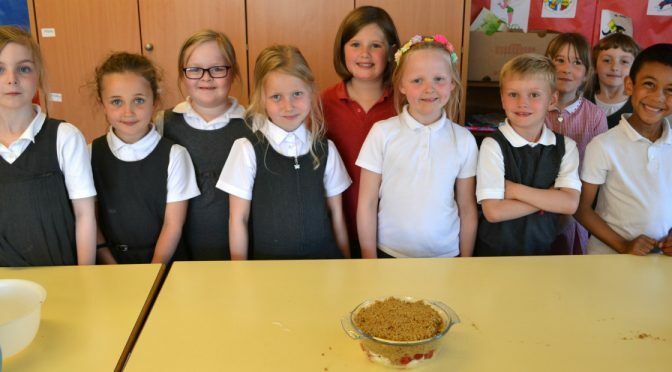 If you want to try Gruffalo crumble there’s a main meal version on the Julia Donaldson website and a pudding on this smashing blog. 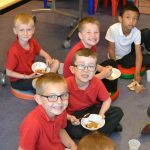 Here are some pics of the kids enjoying the cooking.